In 1890 the Army arrived at Crownhill, then known as “Knackersknowle” – “The Home of the Little People”. There was no Catholic Church in the area and no resident priest. The soldiers and the small Catholic population of civilians attended Mass in the Barracks. In the early 20th century, Mass was said by Fr. L. McLoughlin, chaplain to the Little Sisters of the Poor. In about 1920, Fr. Smith was appointed Army chaplain. April 1921 saw the opening of a Register of Baptisms in the Garrison Church by Fr. Kennedy C.F. In1937 a chapel of ease was built, thanks to the generosity of the Misses Edith and Hilda Robinson. It was blessed by Bishop Barrett on December 19th, 1937. This was served from St. Edward’s, Peverell until 1948 when, due to an immense influx of people to the new estates springing up in the area, and the expansion of the Catholic community, Archbishop Grimshaw established the area as a separate parish. Fr. Eugene O’Mahony was its first parish priest and Fr. Michael McSweeney, who replaced him in 1949, stayed until 1962. The new St. Peter’s Catholic Primary School was built in Whitleigh in 1956. 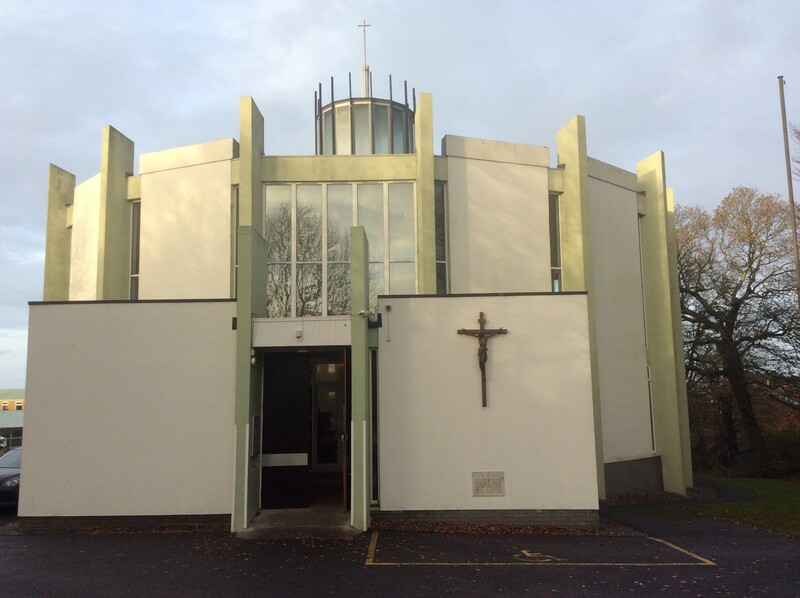 In 1964 a new chapel of ease was built in Southway, dedicated to St. Thomas More. It became a separate parish in November 1969. Notre Dame girls’ school established itself in the area in 1965 after several difficult years in the bombed out building at Wyndham Square. About the same time, Bishop Vaughan Secondary Modern School was built to cater for children unable to attend Notre Dame or St. Boniface’s College. The Comprehensive System was introduced into Notre Dame and St. Boniface’s College in 1981. Fr. Joseph O’Brien became the parish priest in 1962. He drew up the plans for the St. Peter’s Church we see today. Canon Joseph Richardson took over in January 1969 and continued the good work, supported by willing parishioners. On August 2nd, 1969, Bishop Cyril Restieaux laid the foundation stone for the new church and adjoining presbytery. A year later on September 3rd, 1970, he returned for the solemn blessing and Mass. The church was consecrated on the feast of St. Peter & St. Paul, June 29th, 1987. Canon Joseph Richardson remained as parish priest until October 19th, 1988 when he changed parishes with Fr. Denis Collin who had been parish priest of St. Joseph’s, Poole. Canon Richardson had been assisted by many curates during his ministry here, including Fr. Terry O’Donovan, Fr. Brian Reeves, Fr. Robert Draper, Fr. Leon Conroy and Fr. John Webb. Fr. Denis Collin ministered here for two years and he then retired through ill health. Fr. John Webb, who had been curate, took over as priest-in-charge and later as parish priest. Fr. 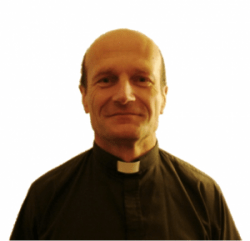 Jack Roach, from Leeds Diocese, worked in the parish for a period during this time and Fr. Philip Evans became curate. Fr. John Webb left the parish in 1994 and was replaced by Fr. John Deeny, now Canon Deeny. He was assisted by Fr. Marc Carowicz and later by Fr. Trevor Jordan and Fr. Keith Mitchell, now Canon Mitchell. Fr. Keith Mitchell returned to the parish as parish priest in 2001 and moved to St. Mary’s, Bodmin in July of 2009. Fr. 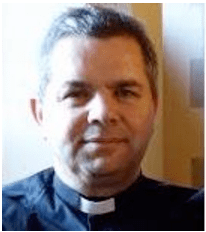 John Webb, now Canon Webb replaced Canon Keith Mitchell and served as parish priest until September 2015.